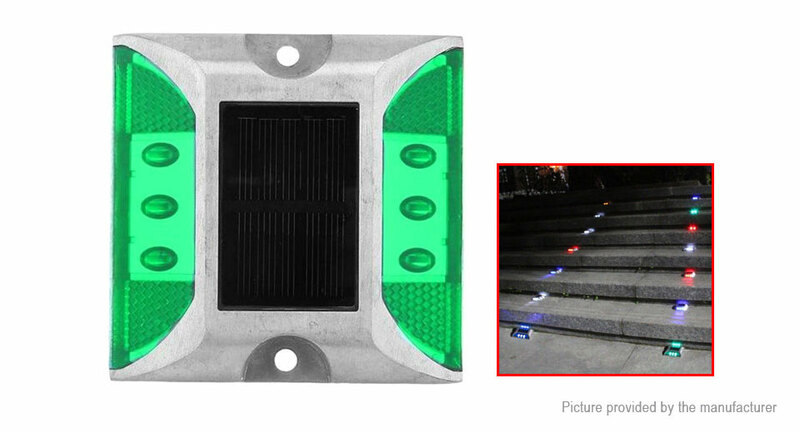 The solar lamp is designed for illuminating paths, decks, docks, boats, driveways, stairways, pavements. Use with road safety in mind and can help to prevent serious accidents and emit rather than reflect light. Also used as solar raised pavement makers, solar reflective lane markers and solar warning devices. It is cost effective, easy to install and require absolutely no wires or maintenance. The LED light come on automatically as soon as it starts getting dark every night. Made of aluminum with high quality, lightweight and durable. Dramatically enhance the look of your garden and yard. High shock resistance, no UV rays ,environment friendly.